Teal and pink antique-look earrings. 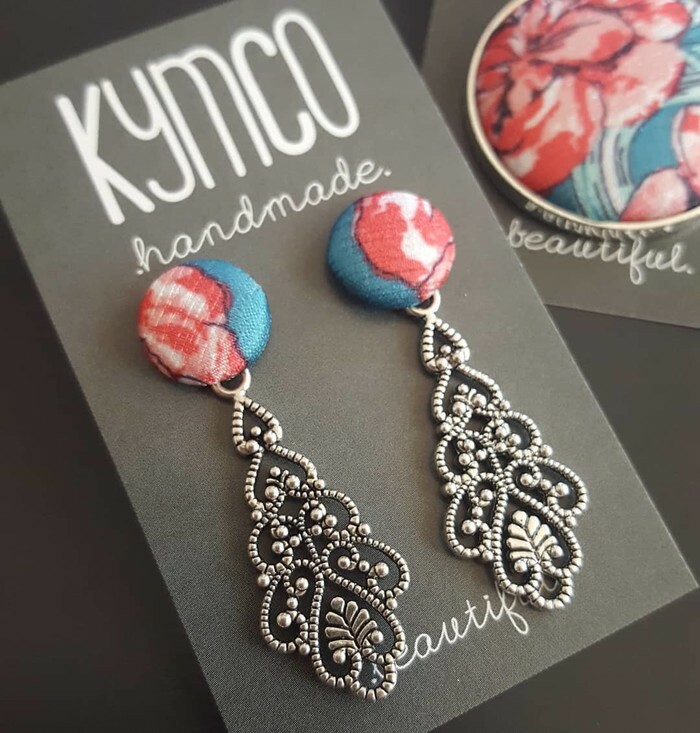 These stunning earrings will add a special touch to a special outfit with a handmade fabric teal and dark pink stud and an antique-look silver dangle, ready for you from KymCo Handmade. These are limited edition earrings! Each pair of earrings is individually made, please be aware of differences in fabric patterns - your pair will be unique to you but may differ from the image.